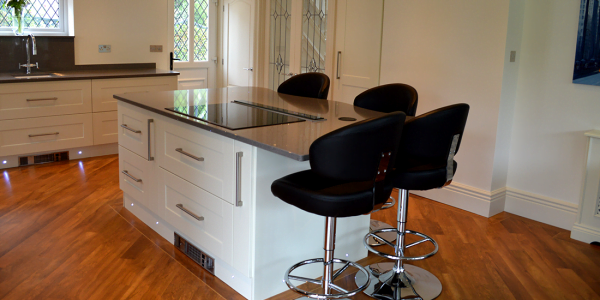 The Walkers who live in Millhouses, Sheffield wanted to create a special home for their prized possession – a stunning grand piano, by extending their kitchen area. 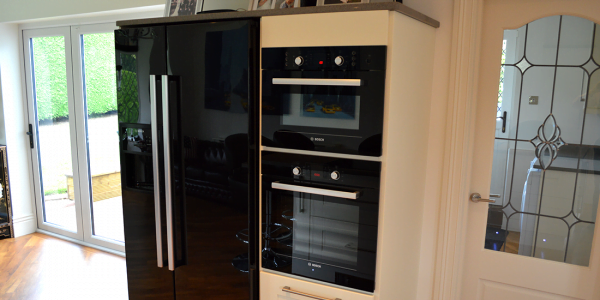 The couple contacted Direct Kitchens following a recommendation from a work colleague after they had used them to work on their project. 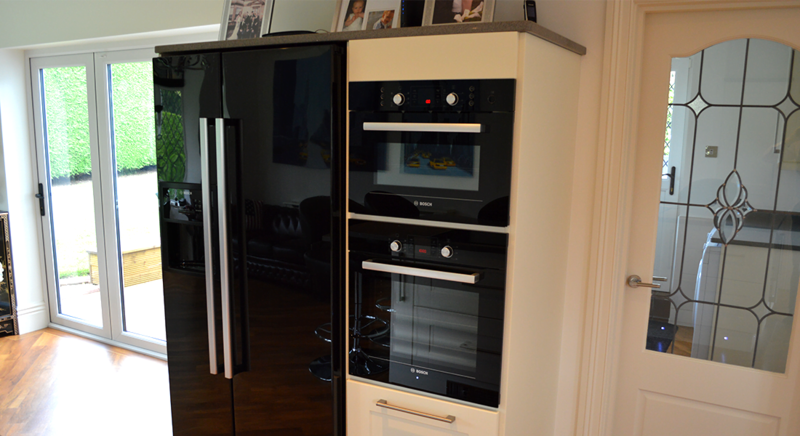 They visited half a dozen national kitchen suppliers but on visiting the Direct Kitchens showroom in Ecclesfield – they were sold! The kitchen design and installation from Direct Kitchens was part of a much larger scale project to turn the former kitchen and dining room into a large, airy and welcoming kitchen. 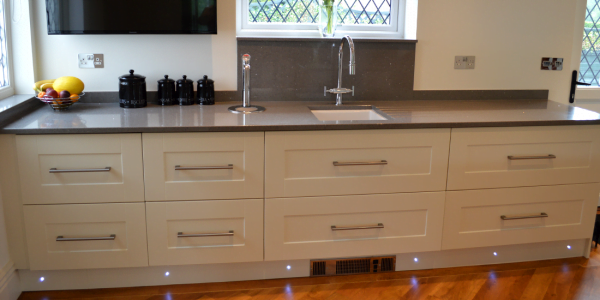 The Walkers opted for a stunning Ivory Shaker kitchen that Direct Kitchens designed as part of their free design service. The new kitchen is now three times as big and includes a stunning island in the centre of the room – perfect for entertaining friends and family. The Walkers also went for an appliance package including: oven, hob, raising extractor fan, dishwasher, microwave, American style fridge freezer and wine cooler for those special occasions! The flooring was from Karndean and Carpet Design Flooring and glittery grey granite worktop came courtesy of Artisan – both close partners of Direct Kitchens with products showcased in the Ecclesfield showroom alongside stunning kitchen designs. 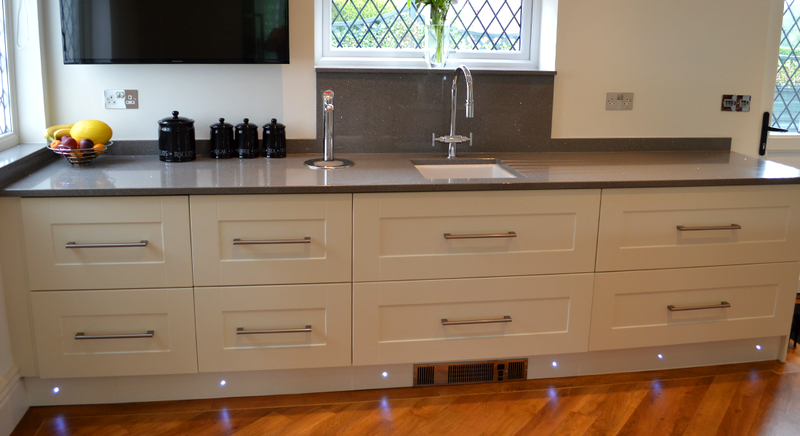 The kitchen was designed and installed all within three weeks and the Walkers are over the moon with the finished product and quality of workmanship. 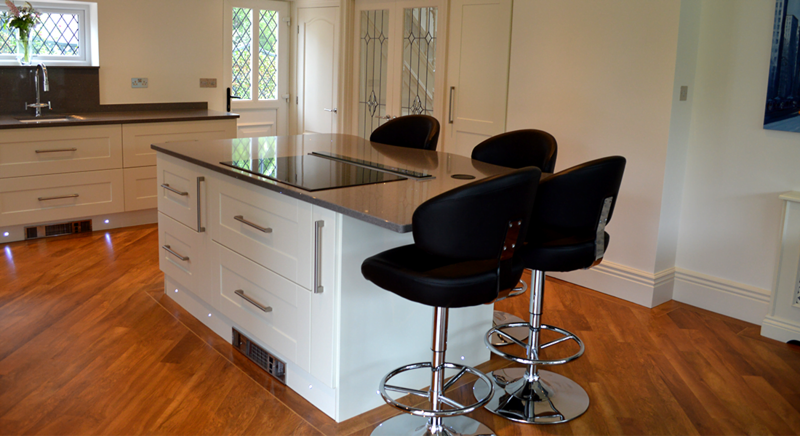 Mr Walker concluded: “The Direct Kitchens installers Matt and James were brilliant, polite and professional – we couldn’t have asked for a better team to work on our kitchen. “Anyone who has had a large scale project at home to contend with all know exactly how stressful it can be. Ours spanned a six month period but the Direct Kitchens team made their aspect of the works stress free for us, they just got on with it!